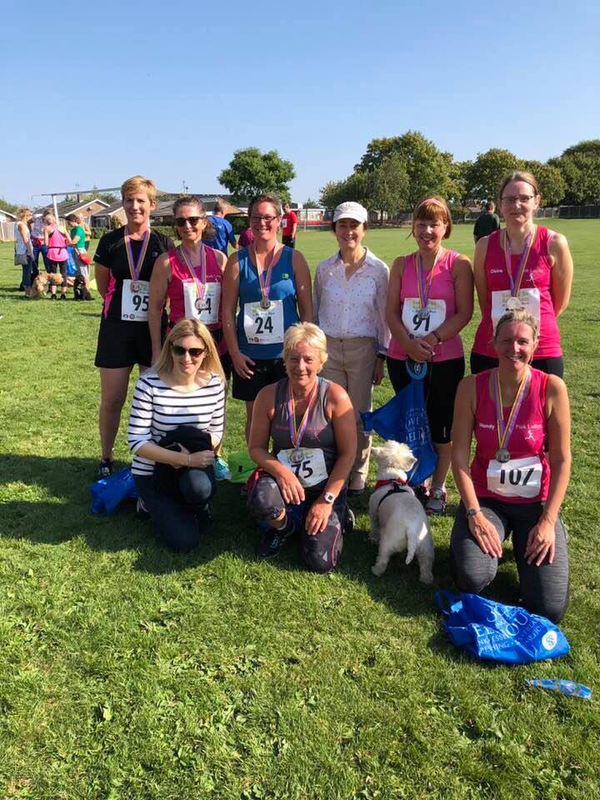 The Pink Ladies running club is a friendly group who welcome all abilities. We have a relaxed 0-5k group for complete beginners and a 5-10k group for those who want to run a bit further. If you want to start running, and more importantly start enjoying running then join us. Each session is led by a fully qualified England Athletics run leader. For ladies who are complete beginners or are returning to running after a break. This session is a mixture of walking and jogging. ​For ladies who can already run 5k. We do a mixture of hill running, short and long intervals and longer runs to help you get faster, stronger and build endurance. Perfect for improving distance and speed.